I’m an avid BBQ outdoor griller. Nothing like flavored woodchips to make a meal special...meats, fish, poultry, I do it all on an awesome Weber Genesis. From sloooow cooking roasts and whole chickens, to flash cooking hotdogs and burgers in the summer, I’ve just grown to love manipulating the flavor of the cooking of different foods using the flavored wood chips. Everyone grills when the weather is nice and warm. My question is, do you grill in the rain? Easy, peasey on that one! How about grilling all year round? Do you grill during a snowstorm? I do. Love to bring the outdoors inside! How about it...do you grill through the winter months? I will grill year round but not in the rain. I use my 22" charcoal fired Weber. Like all good sailboat cruisers we grill year round in most weather conditions..
Year round here with my hand-me-down Grill-O-Matic. My wife was always telling me about her friends who grilled year-round. They told her that propane was the ticket. Under protest I bought one. Used it about a dozen times and threw it away. The only good thing which came out of that grill was the story about how, after we used it for the first time, a bear tossed it down the hill. I grilled on the Weber last night and will tonight, in the rain with temps in the 30s. I have a large Tommy Bahama beach umbrella protecting all of it! Of course I grill year round. If I were not able/allowed to grill it would seriously hinder my cooking ability. Hell, I even grill those evil things called vegetables. Year round griller. Custom built offset firebox big smoker. Traeger pellet Grill handy and useful. Well used 22 inch weber used for everything winter spring summer and fall. Why wouldn’t you grill during the winter? Oh yeah, what’s winter? Seriously, what man doesn’t grill year round? 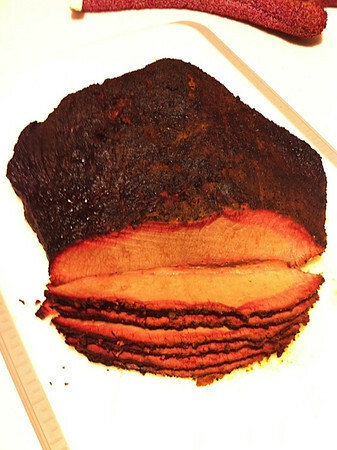 Those big lumps of meteorite looking things on the smoker fall apart with just a push of a fork on the top of it. I actually grilled last night. It was 82 on the south Florida coast, AKA Paradise! Tonite, Boneless chicken breast, baked potatoes and balsamic glazed zucchini tonite. No wine. Tomorrow, lamb chops, baked potatoes, asparagus. Nice Super Tuscan wine. Sunday, ribeye steaks, baked potatoes, probably asparagus again, because I do the cooking and it’s my favorite veggie. Two bottles Barolo. Can’t wait for that one. Monday, cedar planked salmon, baked potatoes, served over salad greens, with nuts, seeds, and sliced strawberries. Baby Super Tuscan. Tuesday, go shopping and plan the rest of the week. I know Mani does the Big Green Egg also. 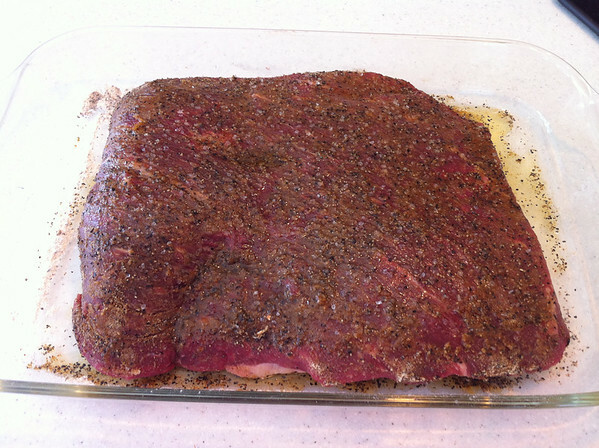 In the 22" weber I have a 1/4" steel plate with 12" of the center cut to a grill. Takes re thinking but superior. I grill all year, have to account for the ambient temperature sometimes. Problem is everyone else is inside when it is nasty. I have a covered pergola to deal with things. And a ten foot table to seat everyone. Beer fridge is just inside the garage that backs up the yard. Plenty of supplies. I will have to get boneless shoulder next time. this looks great. I always get bone in and shred it. 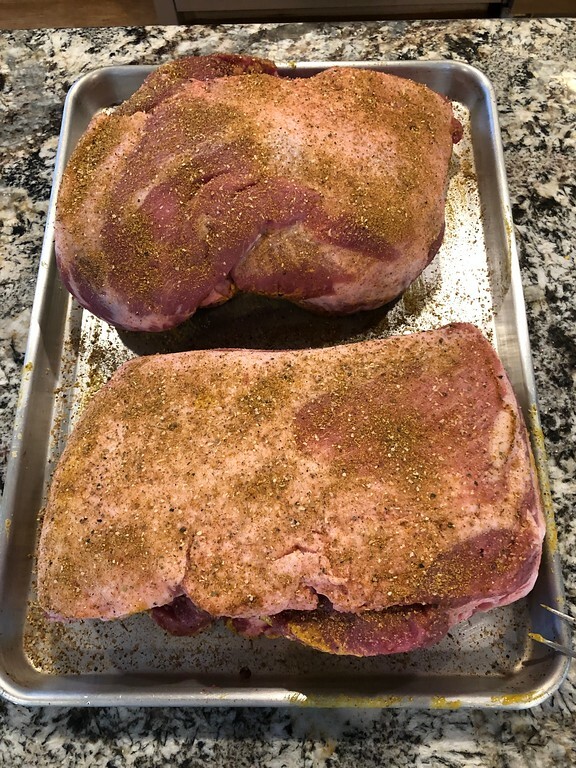 Just tonight at a party one fellow who has a "smoker" does beef mostly, I mentioned why go through all the trouble and spend 12 hours at it and not use PORK! Looks like I am in the majority. I grill year round, even in snow or rain, at least the snow back in Connecticut. Best way to cook. We always cook fish on the grill to keep the smell out of the house and it tastes better. During major snowstorms we don't cook on the grill, my wife makes soup. The now deceased (lost at sea) founder of Charlie's Crab restaurants in Detroit and Lauderdale taught me that one. If you want some excellent rub, go to https://reddirtrichbbq.com/ which is a new company a friend of mine just started. It will take your BBQ to a whole new level! I'm interested in a Green Egg, but how do they do in winter, is there a risk of cracking them? I don't need a cracked egg! Grill/smoke year round...22" Weber charcoal, Brinkman charcoal smoker, large Masterbuilt gas smoker, and horizontal Brinkman wood/charcoal fired smoker. Lowes has charcoal on sale several times a year - 2 pack 18.5 lb bags for $9.99. Have 20 bags ready to go by garage door. Best food always comes off the grills. Rain, shine, cold we grill 4 times week average. 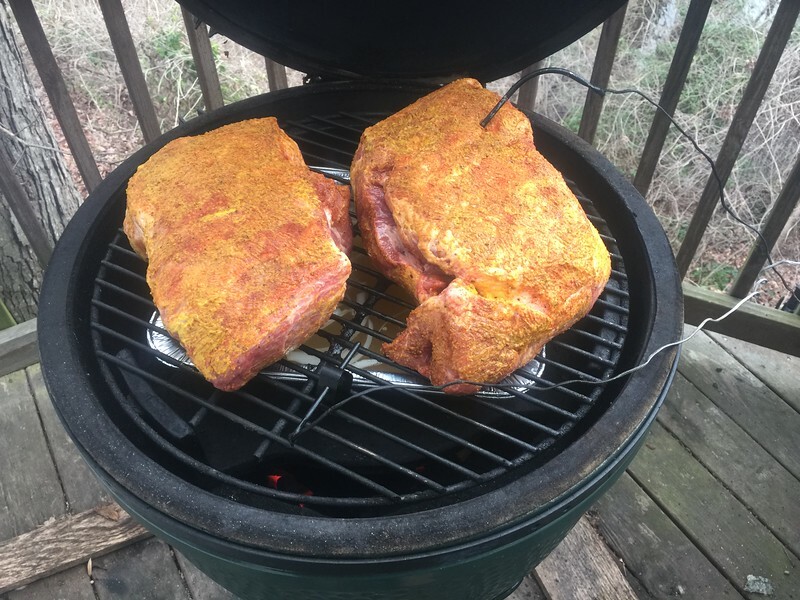 Big Green Egg guy here. Grill all year long rain or shine. Wes and Mani, you guys had me convinced that I wanted to gift myself a BGE for Christmas, but DAYUM, had sticker shock when I looked them up. Is there ever a "good" time to buy them on sale? Check out Komodo Joe - it's basically the same thing as as a BGE but less expensive. That said, I've gotten so much enjoyment out of my Egg that I still consider it a great purchase. Look around locally for deals also. When I bought my Egg it was from a Spa & Pool store that was throwing in a bunch of accessories and a large bag of organic charcoal. The accessories can add up as well. When I moved to NC bought a Wilmington grill from the owner of the house we bought. Top of the line stainless steel grill. Better than the webers i had over 25 years. Never met a grill man or woman who didnt love their egg. On my Christmas list. I can report that owning a BGE has changed my life for the better. I now own two of them, a large and a small. 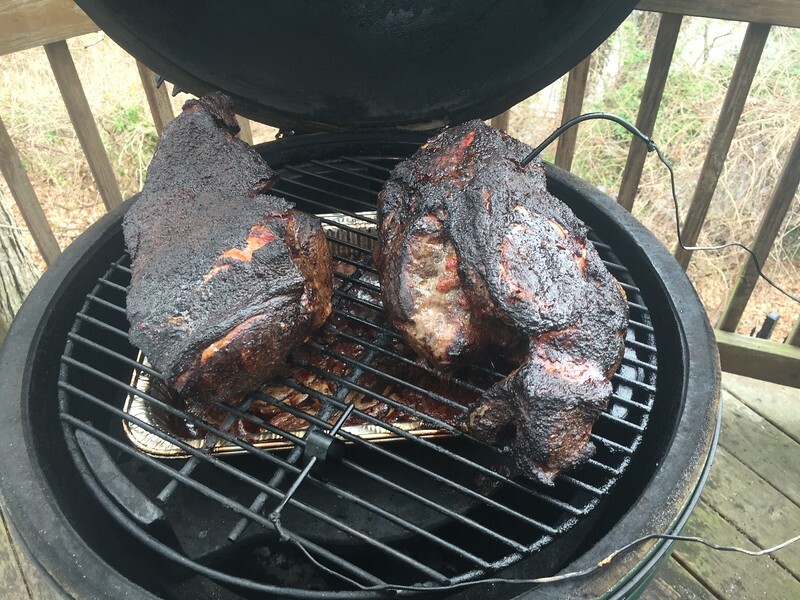 Matt, the BGE is the last grill/smoker/cooker you will buy. They stand behind their product 100% no questions asked. My ceramic cracked over the years twice and have had it replaced ASAP. The BGE do not go on sale, but there are promotions like the big holidays when they come with a ton of accessories included, which you would have to buy otherwise. Makes it worth while. Only buy from an authorized dealer. Dont buy used, you know the ceramic will crack at some point. I joined the club -- a special shout out to Mani (Aviator) and Wes (PittsDriverWes). Mani I would like to thank for constantly showing me pictures of his amazing looking dinners off his BGE. All that has done through the past two years or so is make me want to visit him for dinner (and learn how to do it myself). Wes, I'd like to thank you for bringing up Kamato Joe. Doing some reading/video watching, I've come to believe that the Joe and the Big Green Egg are extremely comparable. About 18 months ago, Kamato Joe updated their unit, introducing the "Kamato Joe Classic II". These units retailed at about $1100, best pricing seemingly coming if you can meet up with them at one of their famous "Costco Roadshows". Anyway, I had started noticing the the remaining stock of the original "Classic" (if you could find one) were selling around $800. I was ready to drop $800 back at Christmas but wasn't finding one. I also considered driving about 100 miles to Columbia, MD where they were currently at for the Costco Roadshow but was too busy. 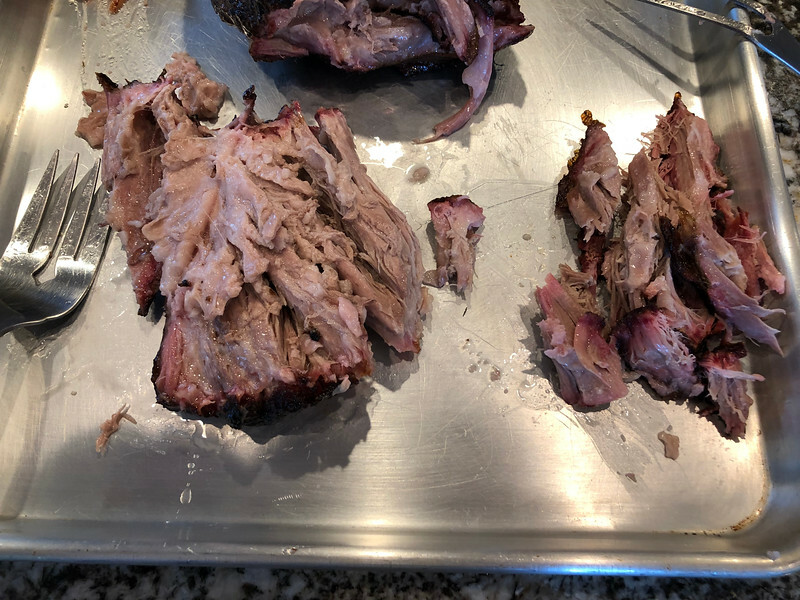 Public service announcement for those looking for a Kamato cooker, check with your local Lowes. 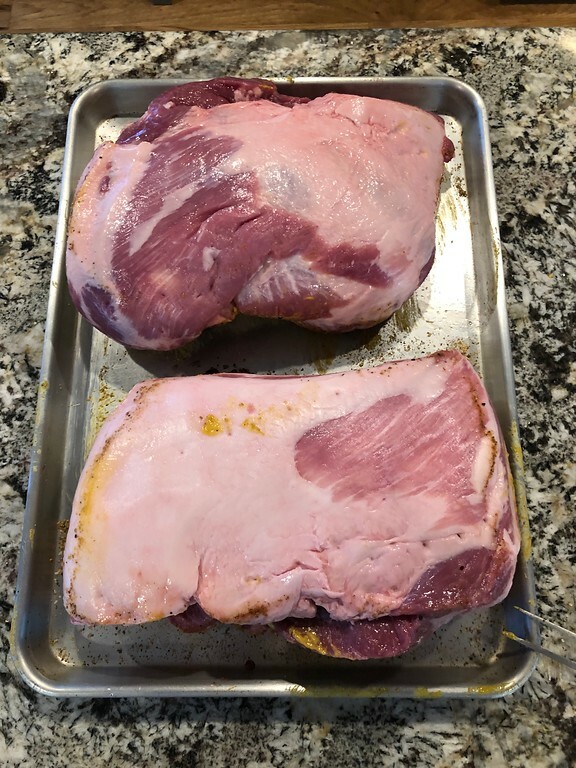 If you're a Costco member, they have a great pork shoulder that has always been excellent. It's two shoulders for a total of about 14-15 lbs. 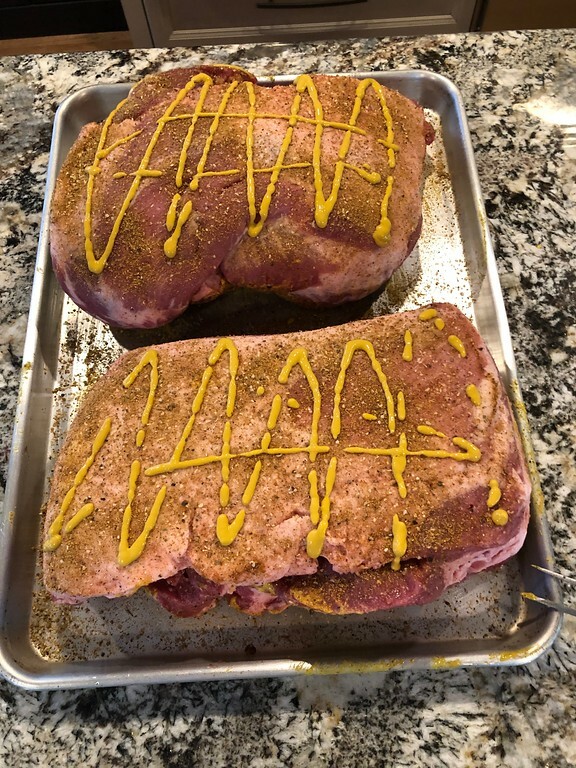 I've done the whole 15 lbs and sometimes I'll freeze one and smoke the other. 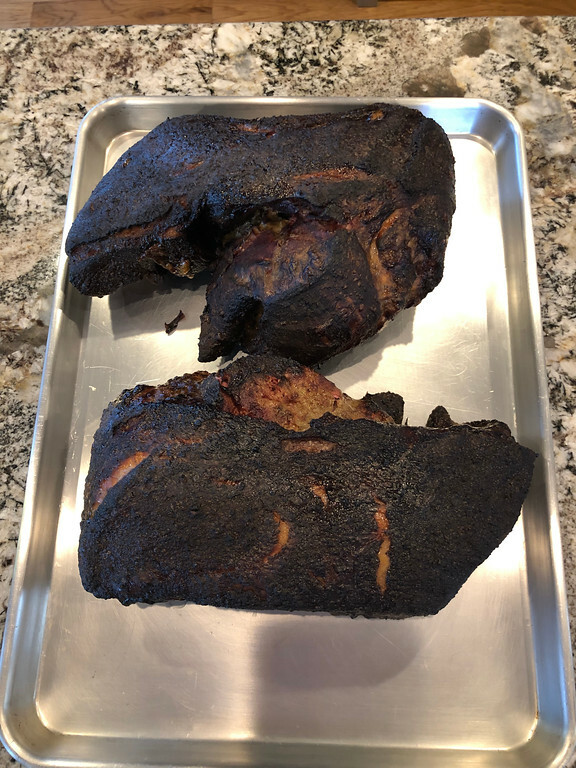 9 hours on the smoker at 230-250 degrees, take it off when the internal temp in the dense part of it is over 180F and put it in a 300F oven to finish it off (abut 30 - 45 minutes will get it to 185 - 190 degrees internal). It'll fall apart moist and unforgettable. 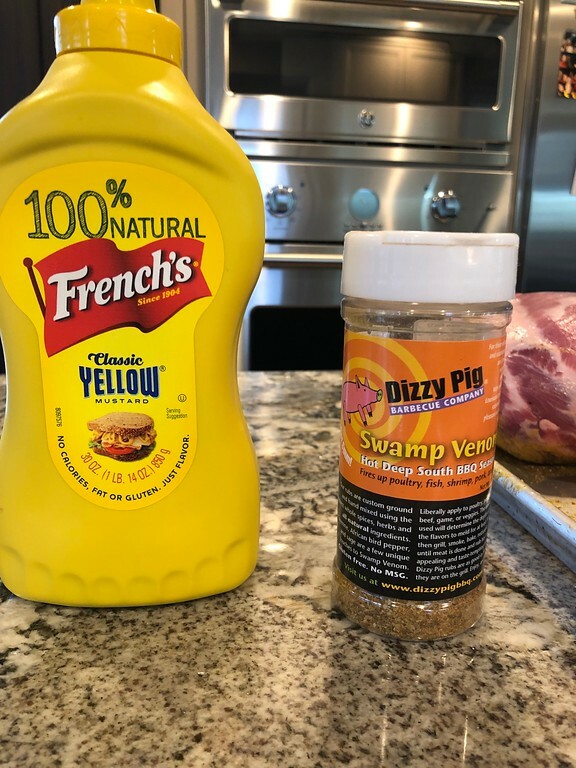 I use Dizzy Pig Swamp Venom with a yellow mustard rub on mine and the bark comes out amazing with no mustard taste at all. Saute some sweet onion slices in a pot with butter and some more Swamp Venom and add in a jigger or two of your favorite bourbon when the onions are looking translucent. Let that burn off the alcohol for a minute then fill the pot with a proper amount of KC Masterpiece BBQ sauce. Oh, and make sure you only use organic wood charcoal with no chemicals in it. BGE or any other organic charcoal works fine. No fire starter chemicals should be used either. Just a couple of fire starter squares lit off with a butane flame and your smoker will be rockin' in 20 minutes ready to set the temp and forget it for several hours. 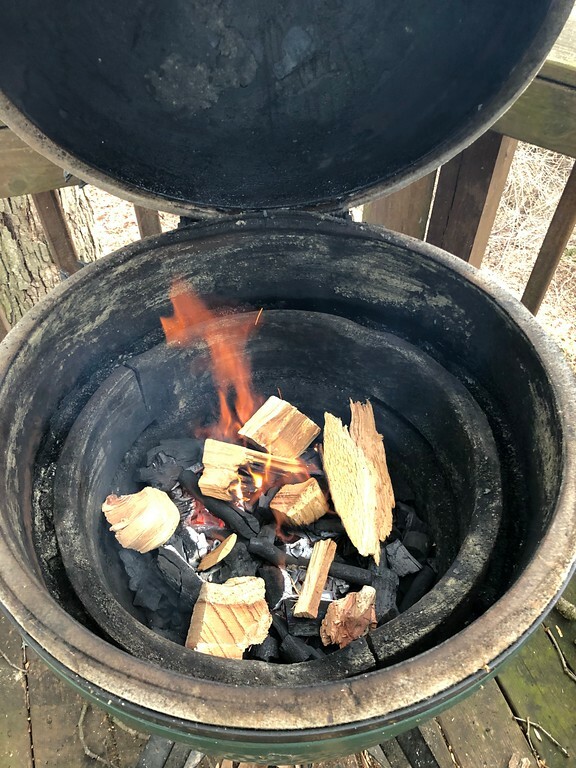 Any of the chemicals in fire starter charcoal (like Kingsford) or liquids are warned that they can contaminate your ceramic vessel. I like hickory or red oak blocks/chips for smoke for pork. When I do turkey or fish, I'll use cherry or apple wood for smoke. Direct grilling I just use the charcoal with no wood added. Many many years ago, I used to fly from my hometown in Habersham County Ga. (KAJR) to PDK in NE Atlanta. The first BGE store was just up the street from the airport and at that time the BGE was made out of a firebrick material that was more of a dull finish. They had daily "cookings" and also sold Pachinko machines. They had no distributors and advertised in the Atlanta Journal Constitution. At that time I was renting a Cessna 150 or 152 and I was tempted to take a taxi up there and fly one home however, I had a recent bad lesson in weight and balance so sidelined that idea and drove down for a purchase. I loved that thing up until the time it had absorbed enough moisture to cause it to crumble to pieces. It wasn't a week before I went back and this time they had the more modern ceramic material which I brought home. No idea how long I have been a BGEer but maybe from their near beginning, guessing 30 years. I love fish, pork, chicken, turkey, pizza (with plate setter) however I have never cooked a steak that I thought was very good even though I've tried many times. Now BGE sells through dealers and you can find usually two in every town. I have no special recipes to share just the wonderful experience of having owned them back to the beginning. 2008 BMW M5-Thank God It's Gone!!! 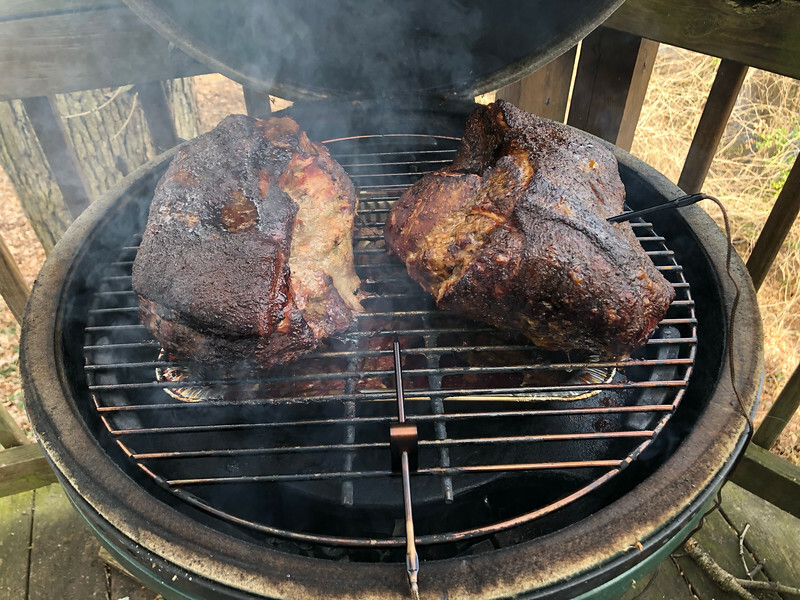 I've been grilling a lot this winter but haven't smoked any meat since the fall. Last time I shopped at Costco, I picked up a couple of pork shoulders - about 15 lbs of porcine treats. If you haven't done this before you might think this gives the meat a mustard or vinegary taste. It doesn't. That all cooks away and leaves nothing but the rub infused bark on the meat. 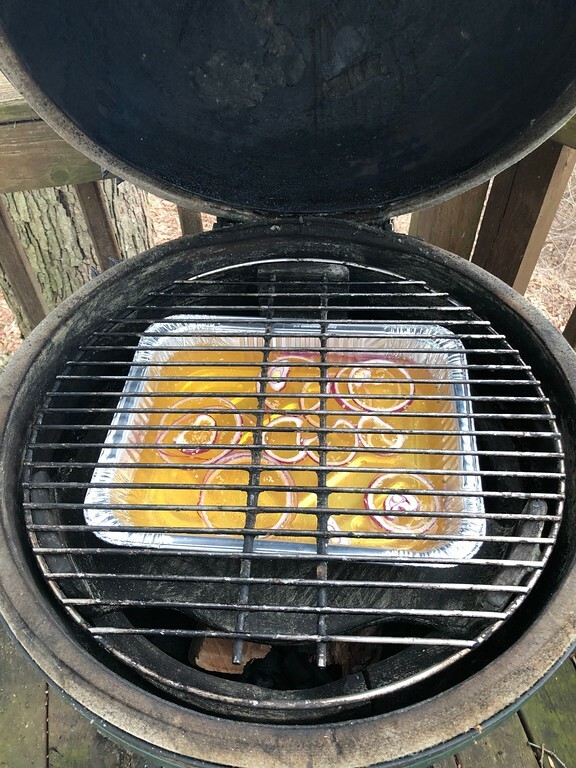 OK, it's on the egg by 8am EDT and after about 3 - 4 hours I'll go back and spritz it with some apple juice to moisten the outside. I'll do this another time or two in the next 9 - 10 hours it's on the smoker. 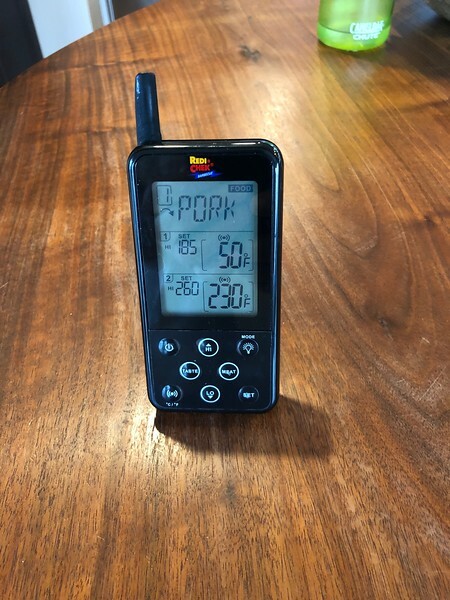 What I'm looking for this evening is for the probe that's placed in a dense part of the meat to get up into the mid-180s. That's the temperature at which most of the collagen has broken down inside the meat into gelatin - that's when it's "falling apart tender." Sometimes, depending on the charcoal load I have in the egg, it'll start cooling a bit toward the end so I'll take it off with the meat temp at about 180 and put it in a 275 degree oven for 30 - 45 minutes to finish it. 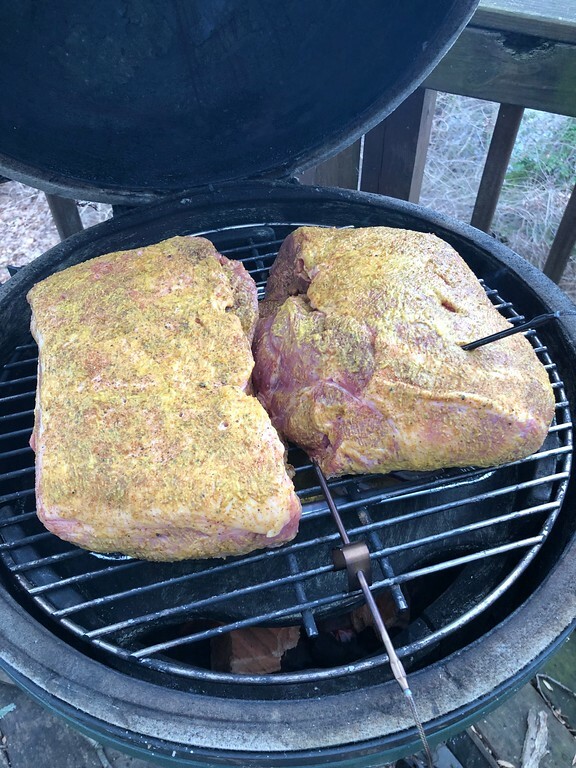 After the first 3 - 4 hours it's absorbed about all the smoke it's going to anyway so if your smoker won't go longer than that on a charge, you're still fine to transfer it to the oven in the knowledge that you'll have the smokey taste you were after. Check back later today and I'll update on how it's going! 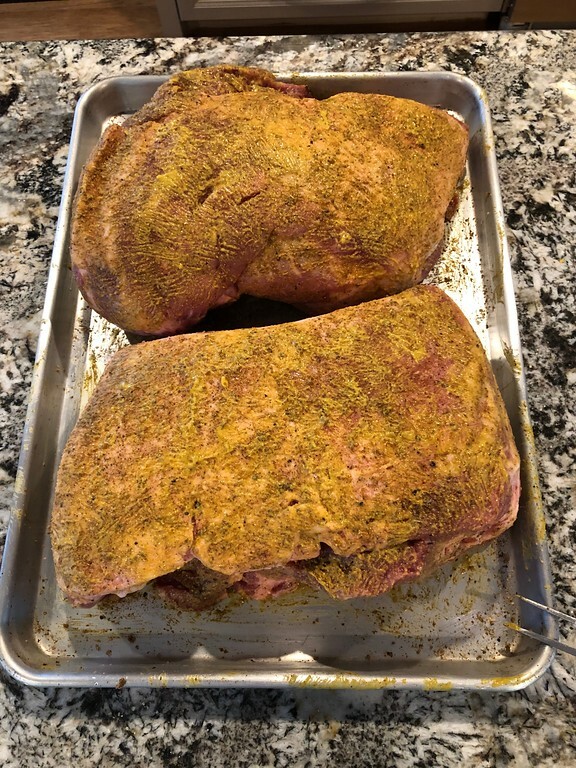 Pull pork at my house tonight! You gotta play Mo'town music when you're smoking port. It makes it taste better. Your making me hungry ...... I'll be right over. This is usually about where the meat temp stalls for a while. There's a number of different techniques to accelerate it through the temperature stall but on a smoker with a good charge of coals, I just wait it out. In another 3 hours or so it'll start moving again and in about an hour it will go from 165 to 180 and that's when I'll start making my BBQ sauce. Premium bourbon is the special ingredient but I usually end up drinking more than I add to the onions that I saute. You can still taste it in the sauce when I'm done. Also time to change the channel from Mo'town to smooth jazz. 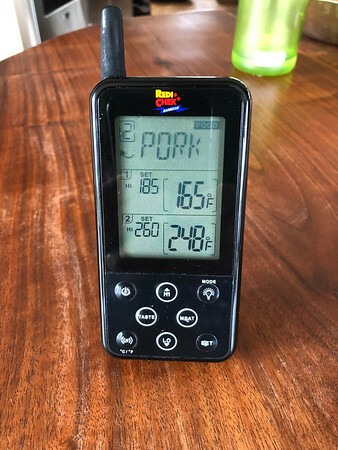 Nice "how to" grilling write up Wes... however & if I may, I'd like to point out two things you got wrong in the whole BGE process. Hickory & Oak?? Mesquite baby... it's the only way to go! Smooth jazz? Anything but smooth jazz! Apart from that & after reading your smokey report, I'm super hungry for some pulled pork! One of these days, I'm gonna get me a BGE. I’ve used the grill year round for very long time. Last night and again tonight. When we had a ton of snow recently I was outside using the BBQ and neighbor thought I was nuts. Also I’ve found that a good glass of single malt scotch helps a lot when it’s snowing and you’re there in the elements. It falls apart like it's filled with a buttery moisture. 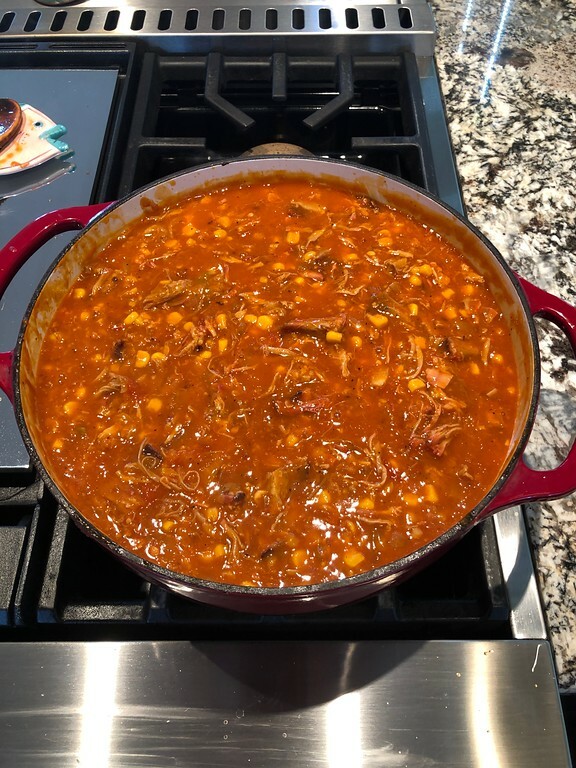 The 15lbs cooks down into about 6 - 8 lbs which is more than enough for a family or small party with enough left over to make a Brunswick Stew. When I'm making the stew, it's all Elvis baby. Wes, thanks a bundle for all this. Really appreciate the video too, sounds entirely silly, but I really didn't realize that a smoker, smoked that much... so that was very useful for me to see. It's finally getting nice outside, and I need to buy me some "lump" and get it on. My grilling has been confined to LP to this point, so it sounds like I'm about to enter a whole new dimension. I sincerely appreciate all the bits of advice. Jean just called Maryland the south .... I guess it's all relative. As a good ol' boy from Alabama, anything north of the Carolinas is to be viewed with suspicion. There's the south and then there's the deep south with a whole 'nuther way of thinking about things. You can tell when you're in the real "south" when you order ice tea and the default is sweet and people know the difference between a "good ol' boy" and a redneck. 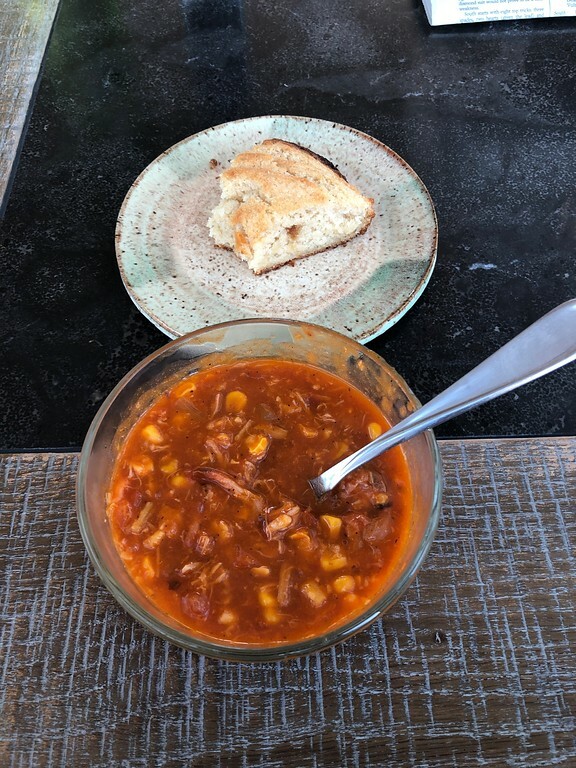 For those poor folk woefully disadvantaged by not being from the deep south, this stew was originally created in Brunswick Georgia and its main ingredients being smoked meats (pulled pork says I), creamed and kernel corn, sautéed onions, diced tomatoes, and a special BBQ sauce that is also made from scratch. There is a town in Virginia named Brunswick that also claims to be the origination of this life changing stew. They would be wrong about that and are just trying to claim a bit of the glory.